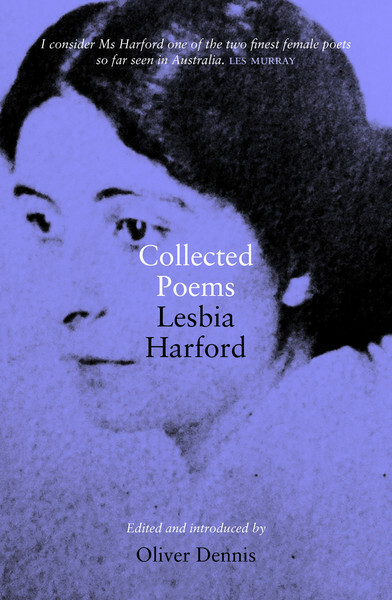 Collected Poems: Lesbia Harford. Edited and Introduced by Oliver Dennis, UWAP 2014. I didn’t know what to expect when I opened Collected Poems Lesbia Harford, edited by Oliver Dennis. I had been previously unaware of her work so having the opportunity to read a collection of around two hundred poems, roughly half of all that she wrote, was a delight. Many of these have not been previously published and, on reading this volume, my only question was “Why not?” Overall, this is a very fine collection of work: lyrical, honest, a voice that captures a very strong minded person. There is a sense of mortality over all of the longer pieces but she was ill for most of her life, a congenital heart defect led to illness for most of her life, which ultimately ended far too soon at the age of 36 in 1927. If I am being honest, and I suspect that she would expect no less, some of the shorter, smaller works have a sing-song cadence that undermines the beauty of the scenes that she evokes. However, this is more than compensated for by the poems where she explores grand themes with a bold, powerful approach that is deeply moving. And she does not require many words to stir you or break your heart. ‘Ours was a friendship in secret, my dear’ captures the horrific death toll of World War I and the tragedy of a secret love in eight lines and it is a brutal reminder of those times. But contrast this with one of her earlier poems ‘This year I have seen autumn with new eyes’, where her strength of evocation takes us to fallen leaves and cooling land but walks us hand-in-hand through an almost medieval reverie, a celebration of the harvest season in calligraphy and illumination. It takes a skilled poet to handle love, death and war with such sensitivity and commitment to empathy and Ms Harford was such a poet. Lesbia Harford’s love and desire for men and women shines through in her work and she notes herself that like all lovers, she wants “love to be”. When she is in love, her work soars on warm winds above the hills. When she has lost, she takes you under the ground and you lie, held by her words, in the cold ground as she mourns. For they sail in strange places. A little ship with a short life but she sailed to so many places. An excellent collection. Nickolas Falkner lives in South Australia and works in education. In his spare time, he writes and does print-making, often in combination. This entry was posted in Collected Poems: Lesbia Harford, Issue 15, Lesbia Harford, Nickolas Falkner, UWA Publishing and tagged Australian poetry, Drusilla Modjeska, literature, Marjorie Pizer, Nettie Palmer, Oliver Dennis, poetry, Women's Poetry by Mark Roberts. Bookmark the permalink.